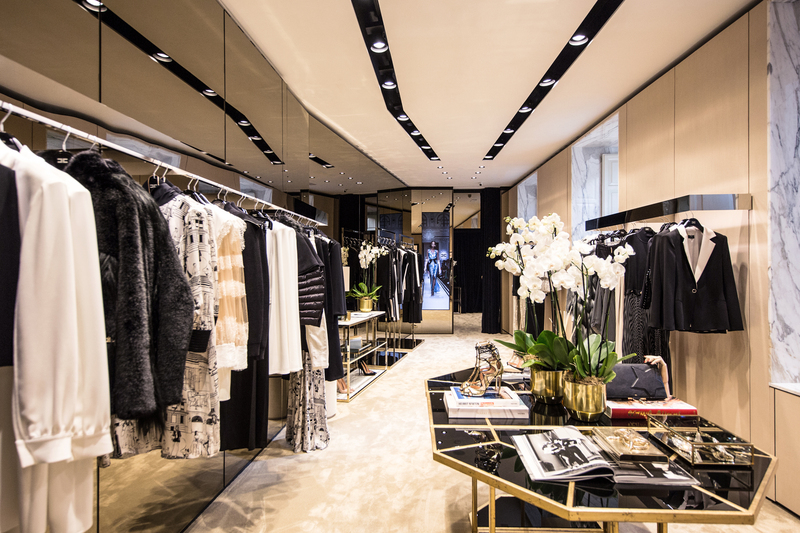 The new boutique in in Naples’ most elegant central district. 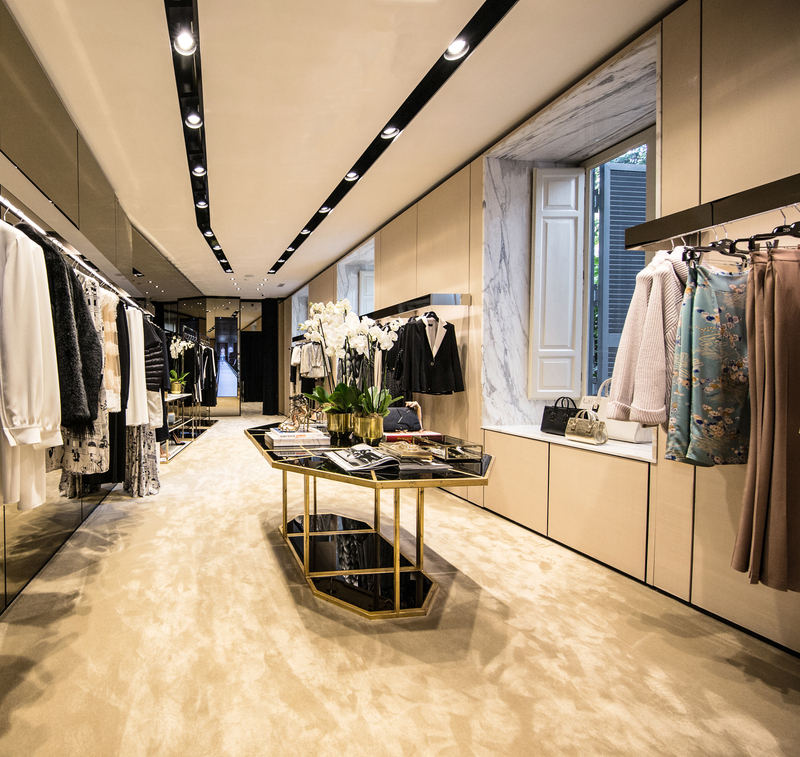 After Madrid, Paris, Warsaw and Bologna, Elisabetta Franchi opens the doors of her new boutique in the shadow of Mount Vesuvius, a few steps away from the sea, in Naples’ most elegant central district. The extraordinary city of Naples, bursting with energy and creativity, was the designer’s choice for the inauguration of the maison’s new shop with its 200 sq. m of floor space. The boutique pops out onto Via Gaetano Filangieri 24-25 in the Chiaia quarter, blending with the Liberty style of the buildings of the city centre. The atmosphere is as welcoming as it is refined, with furnishings that are in perfect synergy with the collections and that combine luxury with the brand’s distinctive elegance. Gold leaf wall coverings decorate the interiors, creating a sophisticated play of light that gives the space airiness. Fitting rooms are decorated with soft velvet curtains helping to transform them into very private compartments. The boutique is harmoniously divided into thematic areas that encapsulate the world of ELISABETTA FRANCHI: from accessories to red carpet gowns to daily wear topped off by a section devoted to the Love Dogs line for our four-legged friends.